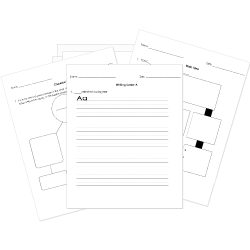 You can create printable tests and worksheets from these Grade 12 Capitalization questions! Select one or more questions using the checkboxes above each question. Then click the add selected questions to a test button before moving to another page. A style manual says "do not capitalize 'the' in the middle of a sentence." Which choice violates this rule? I plan to attend The Ohio State University. We're taking a trip to the United Kingdom. The British Isles are a group of islands. I want to visit the Walt Disney World Resort. However, it makes an exception for book titles. Which choice correctly demonstrates the exception? Hunter wanted to attend The University of Portland. Tolkien wrote The Lord of the Rings. History will never forget the role of The United Kingdom during World War I. Engineering has become one of the most popular majors at the University of California.